Don't Tell CNBLUE "I'm Sorry"
Because they won’t be pleased, at least in the context of their video. CNBLUE returns with a mini-album almost a year after their previous Korean effort, Ear Fun. 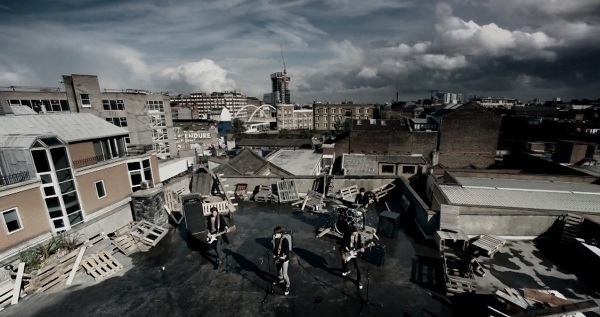 This time around we have Re:BLUE, a title signifying a rebirth or change of the group in their style, helmed by leader Yonghwa‘s composition: the mini’s title track, “I’m Sorry.” The music video was filmed much earlier in London, as shown by bassist Jungshin‘s hairstyle in the music video; he sports the same long hair that he had prior to his haircut in October. 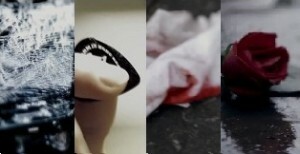 The music video takes on an aesthetic more similar to “I’m a Loner” and “Intuition” and very different from the previous “Hey You.” Shot in London, the music video takes advantage of the setting by using mostly outdoor locations. From the start of the song, with Yonghwa simply walking down the street, the setting is eye-catching. In addition, the band performance scenes utilize multiple angles to capture parts of the city below as well as showcase the group members against the sky. The members themselves are well styled in simple jackets, shirts, and jeans, all of them playing the angered part well in their own ways: Yonghwa broods, Jonghyun’s anger is brimming at the surface, Minhyuk takes it out on his surroundings, and Jungshin is — for the most part — restrained. The camera work fit the song rather well, being full of jerky movements that lost focus every now and then. The song has a fast beat, so the jerks served well to match the song and to heighten the feelings portrayed in the video. A strong gray overtone pervades the video, matching the intensity of the mood and letting few colors through, such as the red of the petals of flowers. However, what was a bit confusing in the video was part of the plot. It wasn’t clear if each members was undergoing their own separations from another. It’s assumed that it was the case, considering the song’s lyrics and the set of emotional teasers released prior to the music video. But Jonghyun’s situation especially didn’t have the strongest connection to a break-up when it stands alone, without the teasers. The others all had parts that made sense: Yonghwa actually received the brief phone call, Minhyuk was at a bar, drinking being his solution, and Jungshin was actually rejected on the bus. But Jonghyun was just playing his guitar in an area that others didn’t approve of. Whether that place had a personal connection to anything is unknown from just watching the video. The nice thing about CN Blue’s videos is that they usually find a way to incorporate all members into the filming of their music video, and “I’m Sorry” is no different. Each member is highlighted in their own situation, and this most definitely isn’t just another band music video, however pleasant that is as well. The music video also utilizes travel to another country well by keeping most of the shoots outdoors, making for a visually appealing video. The only major issue I had with the video had to with the confusing plot, as already mentioned. Overall, it’s a solid music video with plot and pleasant band performances, relating well to the direction of the song. How did CNBLUE’s “I’m Sorry” do in your books, readers? Leave a comment with your thoughts!